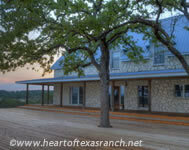 Heart of Texas Ranch is 55 acres of Hill Country enchantment with two fully furnished vacation houses, sleeping up to 25 comfortably. Just minutes from Lake Marble Falls, Lake LBJ, the City of Marble Falls, andall the recreation, shopping and sightseeing for which Central Texas is known. Homes can be rented individually or together, making the perfect venue for a family reunion, corporate retreat or Hill Country wedding. 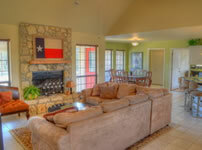 Visit Heart of Texas Ranch for details, and tell 'em Truly Texan sent you!